The highest rate of personal income tax is currently 50% (reducing to 45% from April 2013). However the highest headline rate of tax a company pays is 24%. This provides a significant incentive for many people to use a UK company for trading or investment purposes. 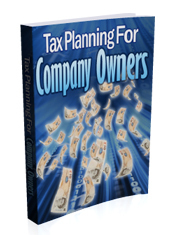 However, company owners need to consider both the company tax position as well as their own individual tax position. This e-guide looks at a number of tax planning issues for company owners and considers both corporate and personal tax planning opportunities available. How Much Salary To Pay In 2012/2013 To Minimise Tax? Should You Be Using A UK Company? Should You Rent Property To Your Company?